There are two main ways that you can dispose of office furniture. You can sell it, or you can have it hauled away. While there are some advantages to selling office furniture, some furniture may not be worth salvaging. Having it hauled away also has ramifications. 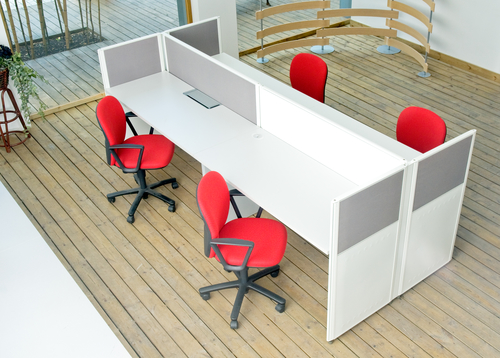 So, what are the right methods of office furniture disposal? As the number of small business start-ups increase and the use of home offices becomes more popular, the demand for used or recycled office furniture is also increasing. It is estimated by tech research firms that the market for recycled office furniture will be $2.7 billion by 2020. Yet selling your office furniture comes with a lot of effort, and it takes time. You have to decide if you are going to sell it at auction or out of your office. You’ll need to market the sale, and place ads for items you want to sell individually. All of this costs money that you may not have in your budget. The process of selling used office furniture also takes time. If you are losing your office space, your lease is about to be up, or your doors are closing, time may not be on your side. When selling your office furniture is no longer a good option, you have to consider other methods of office furniture disposal. Disposing of your office furniture may not be as easy as you think. Many trash companies do not accept office furniture. In addition, most junk removal companies simply take your office furniture to the dump or landfill, and these items are not always accepted. It is important to be responsible regarding how you dispose of office furniture. Over 9 million tons of office furniture goes to landfills in the US each year. Landfills pose a big problem for the local environment, contributing to groundwater pollution and other hazards for decades after they have been filled. As a conscientious business owner, you have a responsibility to keep office furniture out of landfills as much as possible. By far the easiest way to dispose of office furniture is to call a professional to haul it away. You can usually have this scheduled to be completed fairly quickly to meet your schedule for renovations or evacuations of property. However, you need to be careful about who you choose for office furniture disposal. While some companies just take it to the landfill, other more conscientious companies will make sure that as much is recycled as possible. 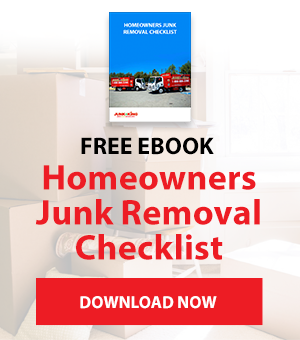 This is better for the environment, and usually does not cost any more than other junk removal services. The more reputable and earth-conscious office furniture disposal companies first take the items to a processing center. There the furniture is taken apart so that all recyclable parts can be removed and dealt with accordingly. Much of office furniture is recyclable, although it does require some effort to strip it and sort it into different recyclable materials. Good junk removal companies will recycle as much of your office furniture as possible before taking the true waste to the dump or landfill. 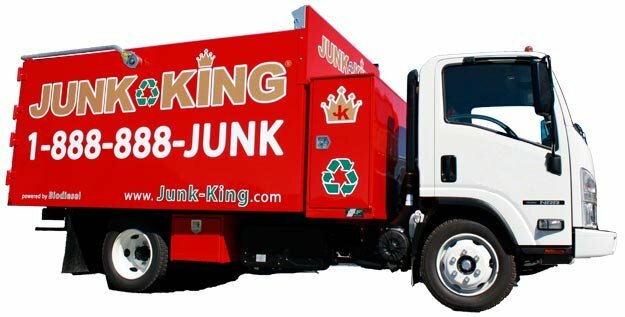 Junk King offers responsible office furniture disposal. We will take your items to a recycling processing center where it can be handled efficiently and in a manner that spares the environment. We will handle all of the logistics of removing the office furniture from your premises quickly and provide you with a stress-free experience. You don’t need to worry about how to get rid of your office furniture, or where it will end up. Contact us today to schedule your office furniture disposal.